“Success occurs when your AGENT SPENDS THE MONEY to market your home." When it’s time to sell, you must be confident that every element of establishing a realistic price have been set before your home is offered on the market. It is a simple fact that it is always the market and what buyers are willing to pay which establish the price a home will sell at. As an MLSbaja.com Affiliated agent, we do not offer the hype that that you need an agent to "get the best possible price" for your home, nor tout that we are the "best negotiators and best sellers". We just get the job done by working with a reality we know works. Exposure, Exposure, Exposure! And that is what we know we do best. Our job is to find qualified buyers and bring them to your property. How? Exposure, Exposure, Exposure! The outstanding multi-website internet exposure, professional photography, not just washed out point'n'shoot snapshots, and excellent print advertising, all combined with an extensive network of professional agencies throughout Mexico, Canada and the USA and beyond. Your property will not only appear on our website, but be submitted to many others globally. Exposure, Exposure, Exposure! The only thing that ever sells a home is the home itself, not the agent, not the seller. Think about when you yourself bought. Do you listen to what someone says about the home, or do you visit it, see it, feel it for yourself? If you don't like it, and the seller keeps telling you how great it is, does that make a difference? Of course not! Fact #1: It is a home that sells itself, first impressions are important, and the features of the home which are important to the individual viewing it as a possibility are what sell a home! Not a sales genius! It is also a fact that over 80% of first impressions now occur on the internet and are largely dependent on good photography for that all-important "First Impression" We invite you to compare our photos with other sites and brokers and then decide which you would click on for more information. Fact #2: If the home appeals to and fits the buyer's needs as well as emotions, they will want it. Very simple. If not, its not going to be their home. The only thing left in the decision process is, "Is it priced right in relation to others I could buy?" If these two elements are not in place, the home simply does not sell, and sits stale on the market as so many in Baja do. Start with the resources we’ve provided. There is no charge for this information. These will help get you started in terms of assessing your real estate situation and planning for a stress-free and successful sale. Or better yet, call or email us for a no nonsense market evaluation of your property. The real estate market in Baja is volatile, especially lately, and it takes a professional marketing approach incorporating extensive internet exposure, well placed local and magazine advertising, to move your house quickly, professionally, and at a fair and competitive price. When you’ve decided to sell, we will be your advocate, your guide, and your fierce marketing agency, not just a "listing agency". We work hard and spend the time, money and effort to Expose your property to as many well qualified buyers as possible. This is what we proudly call "The MLSbaja Difference"
Please ask us for proof and we will provide it. 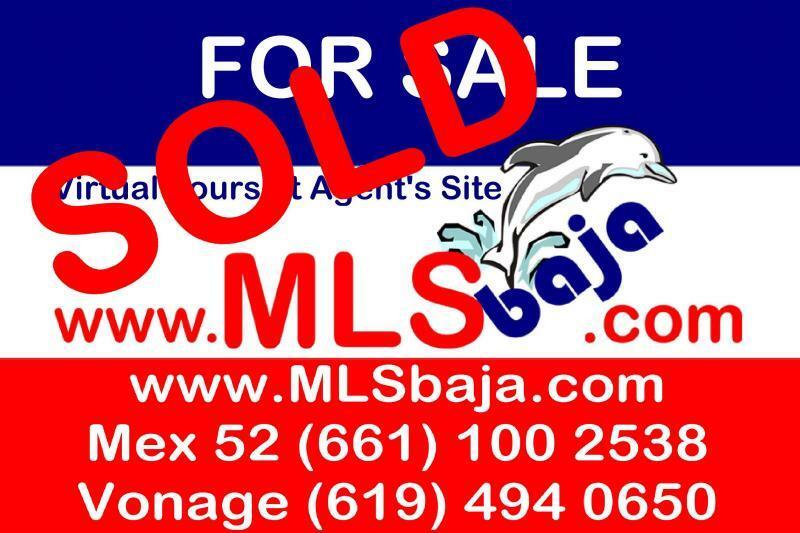 Please contact us if you have any questions about selling your Baja property or would like a no obligations market evaluation, or select desired reports and complete the form provided below. Selling your Baja home can be a joy or a trying experience. When should you sell? How do you get the best price? What could you do to help in the process? The reports below may help get you started. When you're armed with the right information, and an experienced real estate organization, you'll be closer to reaching your goal - selling your home as quickly as possible, and for the best price. 1. Is the Photography "Professional Grade" or just washed out snapshots? Good photography costs time and money. It is, after all, your "First Impression" on the web. 2. Website presentation. Does your broker have multiple high quality websites which generate above average traffic due to good content, layout and ease of navigation? 3. Once a prospective buyer makes inquiries, is the response prompt and professional? Does the agent have the knowledge, experience, maturity, enthusiasm for Baja and work ethic to represent your property or are they often late to respond and difficult to contact? This simple test will tell you what your potential buyers will experience too. 4. Does your broker maintain a well located and professional office, staffed & open 7 days a week? Do they answer the phone and emails promptly? Call or email several brokers you may be considering and check how they respond for yourself.